Why the concern of egg-allergic patients with the flu vaccine used to defend against both seasonal and pandemic flu virus? Traditionally, the flu shot vaccine (both H1N1 and seasonal) are grown inside eggs which is where this concern arises. It also doesn't help that the pre-flu shot questionnaire specifically asks about egg allergy. Though egg-based, during vaccine production the egg protein is filtered out such that there should be no egg contaminants in the final vaccine. However, it is theoretically possible that some egg may still be present in the vaccine. Although there is an infinitesimal possibility of egg contaminants, studies have shown that even patients with life-threatening egg allergy can still safely have the flu vaccine. In spite of these reassurances, there are still concerns from patients and healthcare professionals. 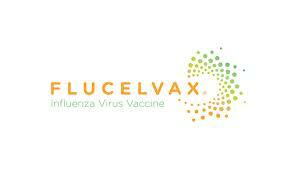 As such, there is now a new FDA-approved flu vaccine called Flucelvax which is guaranteed to be egg-free. Rather than being cultured in eggs, this vaccine is cultured in mammalian cells. Downside is that latex-allergic patients are unable to safely receive this vaccine. Made by Novartis, this vaccine is approved for use in people 18 years and older.